Why Does Kidney Failure Occur in Burn Victims? Even though burns largely consist of skin wounds, the very process of having a burn can have systemic complications, including kidney failure. 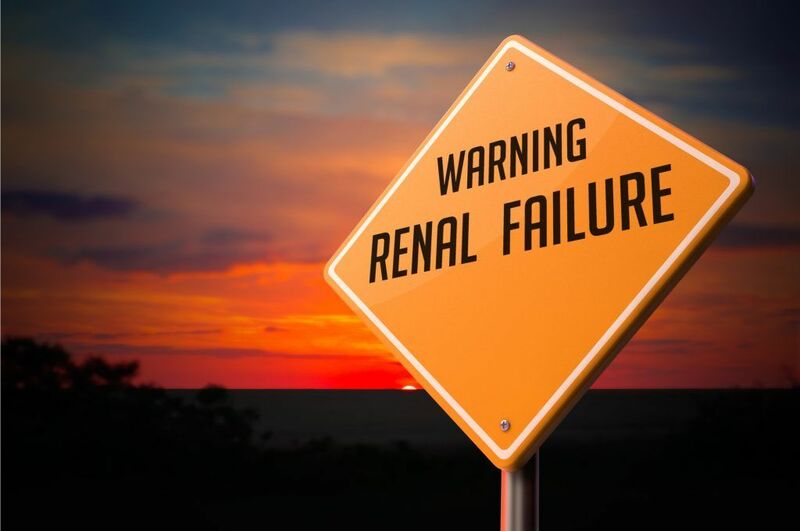 Kidney failure, also known as renal failure, is a serious medical condition, can occur in patients with second degree or third-degree burns of the body and occurs anywhere from 0.5 percent to 30 percent of cases. The death rate for these patients can approach 100 percent. Over the years, advances have been made in the understanding of kidney problems in burn patients and it's signs and symptoms; however, there has been little improvement in the mortality rate. The best way to handle acute kidney failure in burn victims is to try and prevent its occurrence. In the end, the serum creatinine level, long a measurement of renal health, rises dramatically and the amount of waste products the kidney filters out in the urine is greatly diminished. 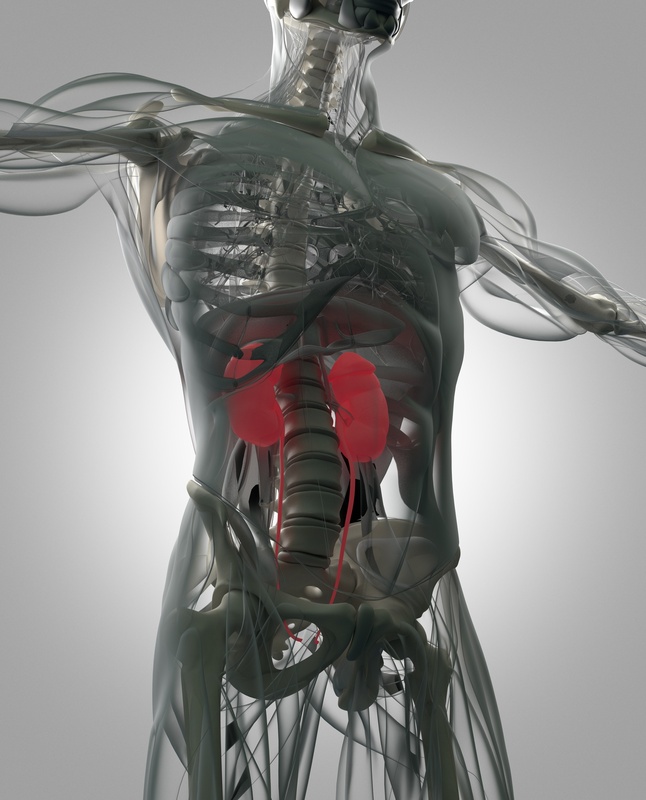 The kidney also stops producing the EPO hormone that prompts red blood cell production. The higher the grade of kidney injury, the greater the rate of death. The kidney injury begins to occur early after resuscitation from the burn. It can also occur later on as a part of the multisystem organ failure that occurs in the septic patient. Early kidney injury happens because of low blood volume, the presence of inflammatory mediators, the release of protein into the bloodstream, extensive tissue destruction and giving medications that are toxic to the kidneys. Kidney injury is made worse by not giving the burn victim enough fluids during resuscitation. Even with aggressive fluid resuscitation and normal urine output, kidney damage can still occur. This is partly because the burning man undergoes a great deal of shock shortly after being burned. The lactate levels rise and the blood becomes less acidic; these are indicators that an acute kidney injury is going on. Part of the problem is that, even though fluid is given to help provide blood flow to the kidneys, much of the fluid in the blood leaks out of the blood vessels and into the tissues so that blood flow becomes poor. Burns as little as 20 percent of body surface area can cause decreased blood flow to the kidneys and kidney damage. Researchers have determined that the greater the burn size, the bigger is the insult to the kidneys. This is why fluid must be given early and plentiful to prevent ischemia (oxygen starvation) to the kidneys. Unfortunately, too much fluid can be harmful as well; this can result in adult respiratory distress syndrome, compartment syndromes, pneumonia and an increase in the chance of death. Fluid can flood the intraperitoneal cavity, which is the fluid space around the abdominal organs. This can result in intra-abdominal hypertension, which can put undue pressure on the organs of the abdomen. It can result in poor lung expansion, organ failure, and decreased cardiac output. The problem with decreased cardiac output and high pressures in the abdomen is that the kidneys get less and less blood flow to them, starting the process of kidney failure. But proper attention being paid to the amount of fluid reaching the heart can make a difference in the outcome. Adding to the presence of decreased cardiac output is the presence of high circulating amounts of tumor necrosis factor released by the muscle cells as a result of the burn. Rhabdomyolysis (breakdown of muscle cells) and hemoglobin breakdown are also causes of acute kidney failure. The kidneys were not made to withstand the impact of so much protein flowing through them and the protein simply leaks through the kidneys. The proteins block the renal tubules and their lack of function is the start of kidney failure. The best treatment for this condition is to give enough fluid to flush the kidney tubules out. Patients with severe burn injuries are at high risk of systemic infection and septic shock. It is present in about 87 percent of patients with kidney dysfunction in the burn intensive care unit. The more severe the sepsis, the greater is the degree of kidney failure. Sepsis increases the risk of blood clotting and causes paralysis of the smooth muscle of the blood vessels. The blood pressure drops and there is less blood flow to the kidneys. The combination of low blood pressure and a high blood-clotting potential cause microthrombi or multiple small blood clots within the kidney tissue. This kills off the kidneys and results in their failure. The first sign of kidney failure is a low urine output, although there are cases where the kidney is failing and the urine output is normal. A check of a urine sample will show tubular casts and sloughed off epithelial cells, indicating an origin in the kidneys themselves. Pigmented casts can be seen as a sign of rhabdomyolysis. The serum creatinine level is not a perfect measure of kidney output but it can give the physician a clue that kidney damage has occurred. Kidney failure is identified through a series blood tests. The key to preventing kidney failure is early recognition and management of the underlying causes of the process. This means increasing the fluid intake to keep blood flowing through the kidneys and possibly using medications called vasopressors to raise the blood pressure in order to push more fluid through the tubules. As for later onset of kidney failure, this is usually caused by sepsis. Aggressively treating this bacterial infection of the blood can prevent kidney failure. This means judicious use of antibiotics and vascular support to prevent the kidneys from losing their blood flow. In many cases, kidney transplantation may be the only cure for kidney failure. A serious burn can severely impact one's quality of life and need long-term treatment. Anyone who has suffered a burn injury due to the negligence of another should contact an experienced lawyer today. Failure of the kidneys can be caused by other health conditions as well. High blood pressure and diabetes are the most commonly the causes of chronic kidney failure. High blood pressure and diabetes both damage the kidney's nephrons which are responsible for filtering out the toxins in the fluids of the body. See a medical professional if you to control your blood pressure. Medication, diet, and exercise can all aid in the process. Along with the increased risk of diabetes and high blood pressure, the risk of failure increases at about 65 years of age. Kidney failure may lead to a need for dialysis treatment; this is the process of having a machine filter and purify the blood in your body for you. I'm Ed Smith, an experienced burn injury lawyer in Northern California. If the negligence or mistake of someone else has left you with an injury, call me today at (916) 921-6400 or (800) 404-5400 for free and friendly advice. I've helped many victims recover compensation for their medical expenses, pain, and suffering that they have experienced. I am a member of the Forum for Million Dollar Advocates in California. This forum is dedicated to the top attorneys in the nation that have received settlements or verdicts on behalf of their clients for at least one million dollars.